Amazon removes reviews of Hillary Clinton's What Happened. “My poor little Dachshund hasn’t been this scared since the last bad thunder storm we had but this is worse,” writes a (verified) reviewer of the audiobook version. Amazon has removed hundreds of reviews of What Happened, Hillary Clinton’s memoir about the 2016 election, after its listing on the site became a battleground for reviewers to rehash the election itself. (Disclosure: Slate is an Amazon affiliate and may receive a commission from purchases you make through our links.) According to Quartz, which closely tracked activity on the Amazon page after the book was published on Tuesday, more than 1,500 reviews of What Happened had been posted by Wednesday morning, and they were extremely polarized, with most giving the book one or five stars. However, only 338 of those reviews were posted by Verified Purchasers, customers who bought the book through Amazon and so had at least paid for it, even if it’s impossible to prove that they actually read it. 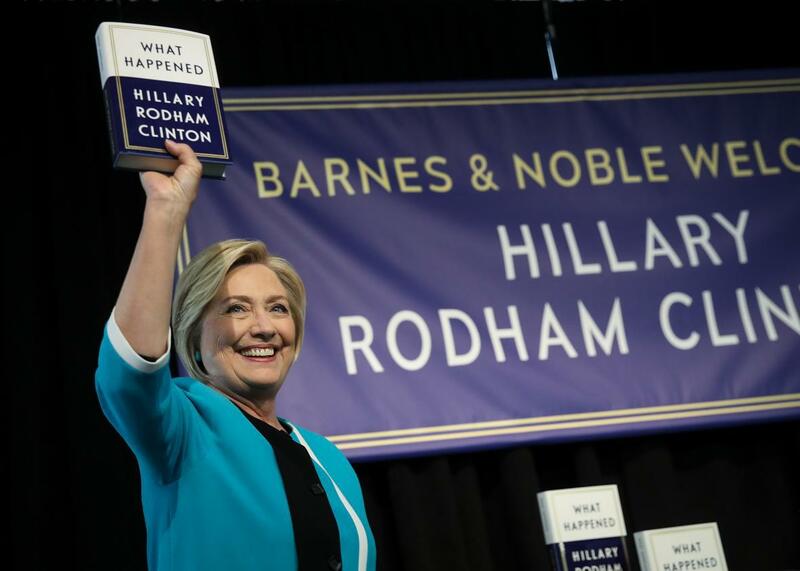 “It seems highly unlikely that approximately 1,500 people read Hillary Clinton’s book overnight and came to the stark conclusion that it is either brilliant or awful,” Simon & Schuster publisher Jonathan Karp told the Associated Press. Amazon has since removed hundreds of reviews—both positive and negative—from unverified reviewers, but since these were overwhelmingly in the one-star camp, the book’s rating has now jumped from a 3.2 rating to a 4.9 rating overall. As of this post’s publication, there are over 600 reviews remaining. Got the audio book, immediately regretted it. Dogs started howling in almost a painful way, whimpering in a corner. Most people trust dogs right? I would definitely say, if their feelings mean anything, stay away. I swear, my poor little Dachshund hasn’t been this scared since the last bad thunder storm we had but this is worse. If that blurb isn’t included on the paperback edition, then what was this all for?